NYC, 02/12/2019, 7:00PM. 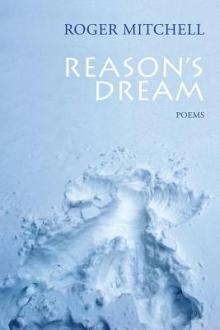 Reason's Dream: Wry, Rueful Poems. Celebrate the release of Roger Mitchell's new book of poems. David Wojahn writes of these poems that "their ultimate aim is the clarity of thought that can only arise from a sensibility that is deeply self-aware but never self-important. These are wry, rueful, and subtly original poems—the work of a contemporary master." Roger Mitchell is the author of twelve books of poetry. His new and selected poems, Lemon Peeled the Moment Before, was published by Ausable Press in 2008. It won the Adirondack Center for Writing's "Readers' Choice Award" the following year. The University of Akron Press published his two previous books, Half/Mask, in 2007 and Delicate Bait, which Charles Simic chose for the Akron Prize, in 2003.